We drive to your school! We bring our innovations to you at your school! Below is a list of workshop themes that WMSI offers. If your school needs training on something not listed below, contact us to discuss options. This hands-on WMSI PD workshop is designed to bring a teacher from a beginner coding level to a point where basic programming lessons can be implemented in the classroom. The focus of this program is to outline available online resources, practice using them, and identify opportunities to customize as desired. Participants will utilize the popular coding website, Scratch. Additional options include LEGO MINDSTORMS, Bitsbox, BlocksCAD, Minecraft-Python, or Python coding. This workshop is designed for participants with or without prior robotics experience. Participants will learn facilitation strategies, systems, and activities that will benefit their students and aid in increasing problem solving, systems thinking, and failure tolerance during after school robot design. Teachers will also walk away with activity ideas regarding building sturdy structures, design and iteration, and engaging sensor coding. Each example activity shown has been designed for the afterschool setting. Grades 3-5 or 6-8; K-2 coming soon! 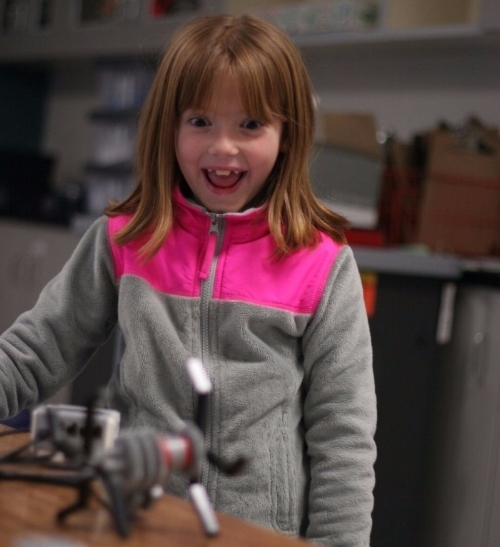 Robotics is an exciting application for science, math, and engineering concepts. WMSI’s staff has many years experience using robotics as a content teaching tool. Contact us to ask about our custom offerings. Science and Engineering Practices and Cross Cutting Concepts. Contact us for offerings. We have inquiry and design-based programs for grade span needs (K-2; 3-5; 6-8); programs that focus on a subset of Practices or Cross Cutting Concepts; and programs focused on the Practices and Cross Cutting Concepts as a vertical alignment framework in grades K-8. Contact us for offerings. We have NGSS aligned engineering design programs for a wide range of design prompts and design tools. Programs can be tailored to utilize tools such as 3D printers and LEGO systems through found materials readily available in the classroom. Focus will be placed on strategies for the Define, Develop, and Optimize design process. This workshop is designed to zoom in on science and engineering practices and focus on “analyzing and interpreting data” while incorporating many of the NGSS cross-cutting concepts. Each session will include full group discussion of standards, hands-on activities focused on implementation of data visualization, and strategies for how to debrief a scientific activity to promote greater learning. Each session will also be used to brainstorm, connect grade levels, and implement a common language to discuss science and project based activities. 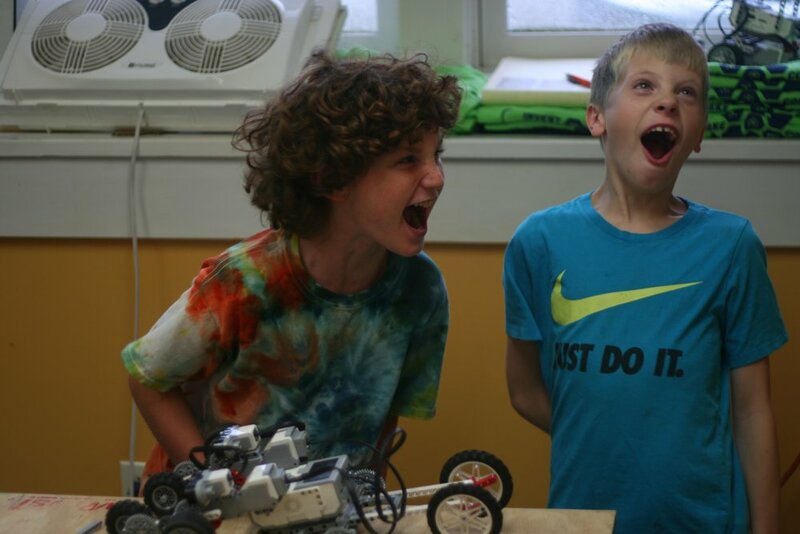 Inspired by kids and grounded in research, Novel Engineering is an innovative approach created by researchers at Tufts University to integrate engineering and literacy in elementary and middle school. Students use classroom literature - stories, novels, and expository texts - as the basis for open-ended engineering design challenges. WMSI works with Tufts University to deliver these programs to schools in Vermont, New Hampshire, and Maine. A modeling tool for the classroom, stop motion animation is a popular creative process where students create movies through a frame by frame animation process. WMSI staff have many years experience designing lessons utilizing animation as a modeling tool. Animated models can be descriptive, diagrammatic, pictorial, and numerically based. Animated model making is a very fun and engaging way to learn a wide range of STEM content. Minecraft Teambuilding - This teacher workshop is designed to bring participants from a beginner’s level (never seen Minecraft Edu before) to a level of comfort in running a server, administering educational worlds, designing new challenges, and creating team building experiences. Hands-on student teamwork examples will be performed in this class and will include co-structure building, resource sharing in a limited resource environment, co-crafting and survival challenges. Makey Makey Extension - as an add-on to the Minecraft team building workshop, Minecraft team building uses the clever Makey Makey control board to create game controllers from classroom supplies. Activities will include group obstacle courses and shared character control. Stop Motion Animation Team Building - This teacher workshop will focus on team building strategies while bringing participants up to speed on the basics of stop motion animation in the classroom including technical skills and connections with various subjects (science, language arts). Team building take-home ideas include workflow breakdown strategies for making a big movie, co-movie design, co-prop design with limited resources, etc. What a Workshop Looks Like: In a WMSI workshop we provide your teachers with access to resources, hands-on instruction with project based lessons, and a place to brainstorm and communicate across grade levels after each session. Workshops will also help define a common language that teachers can use to discuss and implement NGSS Science and Engineering standards as well as CSTA Computer Science standards. Goals and barriers regarding implementation will be addressed at the end of each session and during optional video conference check-ins. These prices include all of the R&D for the session, driving costs within our primary service area, highly trained instructors, workshop materials, technical tools and troubleshooting, post-workshop email support, and photo/written documentation.